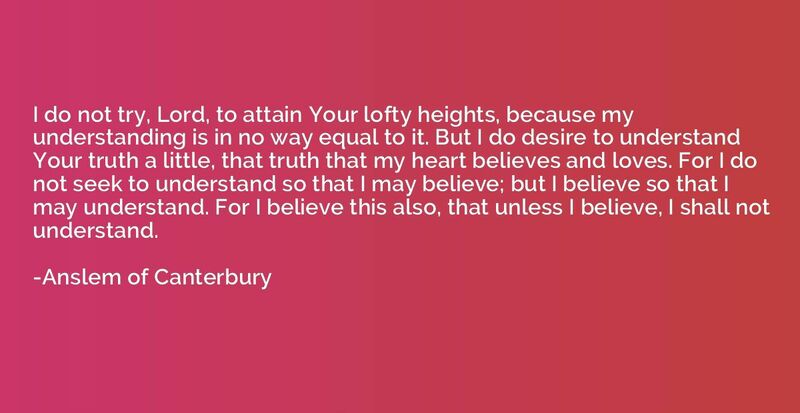 I do not try, Lord, to attain Your lofty heights, because my understanding is in no way equal to it. But I do desire to understand Your truth a little, that truth that my heart believes and loves. For I do not seek to understand so that I may believe; but I believe so that I may understand. For I believe this also, that unless I believe, I shall not understand.